The growing popularity of green vehicles was hammered home again yesterday, as manufacturing giant Toyota reported a record 82 per cent increase in sales of its bellwether hybrid cars. The company confirmed sales of its hybrid Toyota and Lexus brands rose 82.3 per cent year-on-year to over 38,600 units during the first quarter, accounting for a fifth of total sales for the first time. Daniele Schillaci, senior vice president for sales and marketing at the company, said in a statement that the surge in demand for new hybrid cars marked a bright spot in a tough European market. "The European automotive industry is still experiencing an increasingly shrinking market," he said. "Despite the challenging sales environment, our results are in-line with the market evolution. As we approach our global five million full hybrid sales milestone, the strong sales performance of our hybrid products in Europe is particularly encouraging." The company said that since 2000 it has now sold over 500,000 hybrids in Europe, accounting for around 10 per cent of Toyota's total hybrid sales and result in carbon emissions savings of approximately 3.4 million tonnes. 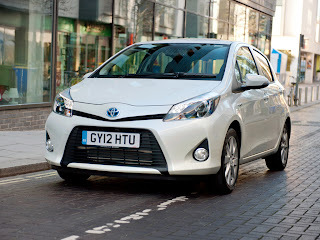 The surge in sales was largely the result of the continuing expansion of the company's hybrid portfolio, which has sought to build on the success of the high profile Prius. For example, the company said sales of the Toyota Yaris Hybrid hit 11,459 units during the first quarter, while sales of the Auris Hybrid reached 12,736 units, climbing 69.2 per cent on the same period last year. The company is now looking to build on its success in the hybrid segment with a plug-in version of the Prius that is currently in the pipeline.